The focus of my art represents the implementation of the color. I work with it in individual and experimental conversion. My technique marks a unique combination of the rational processes and the random, spontaneous behavior of the oil paint. 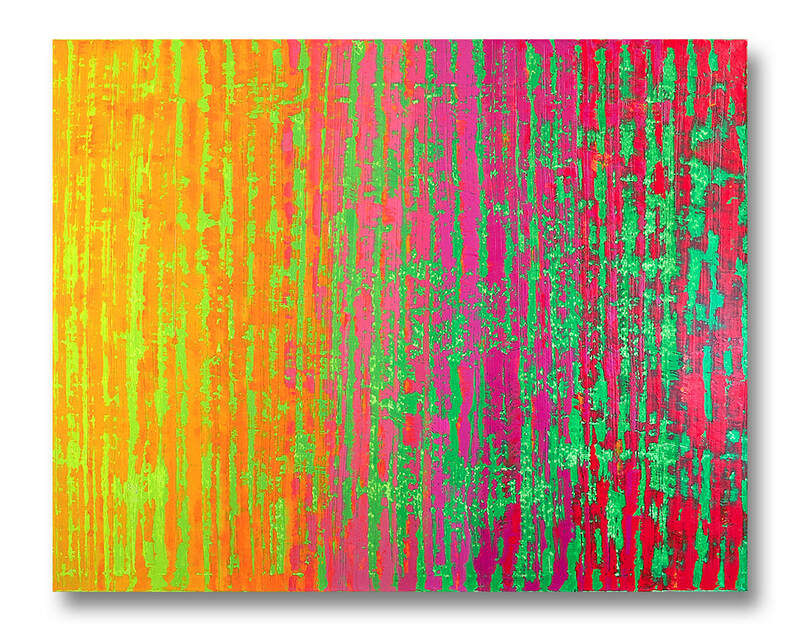 ​The series "Spectrum" is based on the power of color in its vividness. The characteristic of developing and growing the color nuances proceed on two layers. 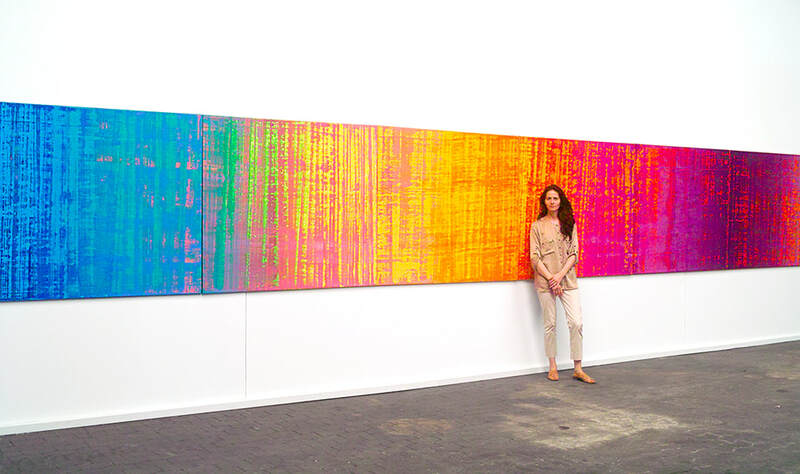 It gives the exact idea how spectral colors interact with each other. It allows to carry out a color study where you can easily track the nature of paint; warm-cold contrast, complementary contrast, simultaneous contrast, successive contrast, light - dark - contrast, color-in-itself contrast, shades and optical vibrations. The oil color has impasto character . The hue runs gradually very harmonious and therefore causes calming effect. This project of mine is contribution to color science.